Join us for an evening of friendly competition, neat people, and $1 beers from Fulton. Doors open for signups at 6:00p and the competition starts at 7:00p. Bring your friends! Throw downs are fun to watch, even if you don’t know anything about latte art or coffee! The more the merrier. We can’t wait to see you! There are 32 openings and the entry is $10 cash. We’re stoked about our prize lineup this year. The top 3 winners will take home prize packages AND the first place winner will win up to $500 cash (in addition to goodies from our sponsors). 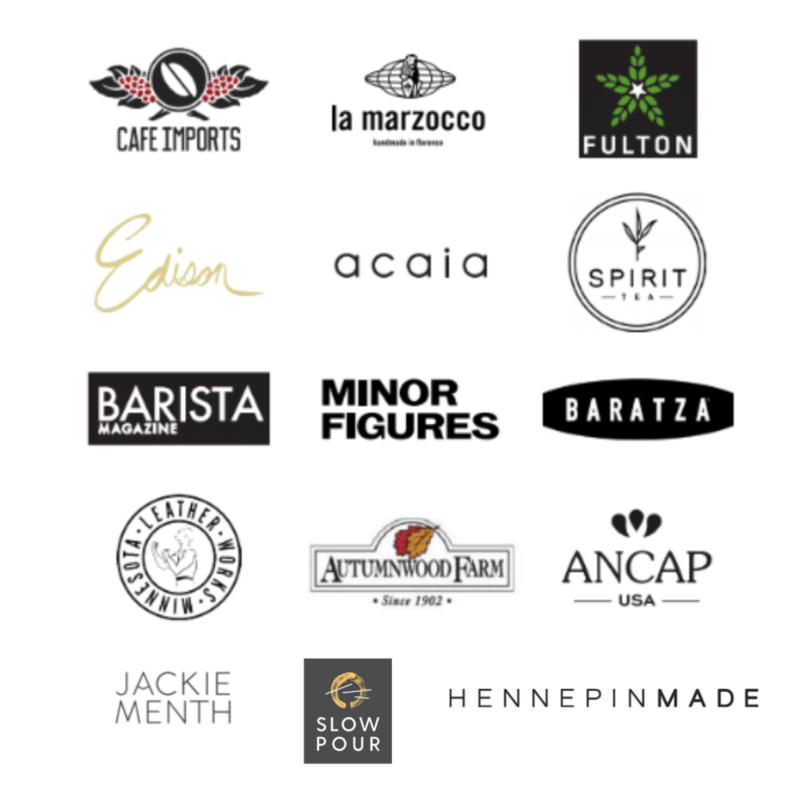 We couldn’t do it without our wonderful partners in coffee! Follow the above brands; tell them you love them. We will too!